A 22 year old patient presented with blisters on the abdomen and some sores with the open sores with the scales & crust of honey color. The patient had many sores of the abdomen and the leg. 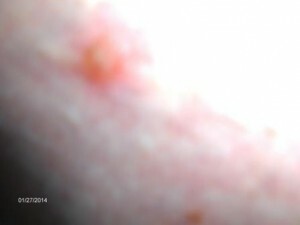 The patient complaints of itching and hurting. Dr. Jain examined the patient and did the culture and started the patient on antibiotic which covers MRSA. 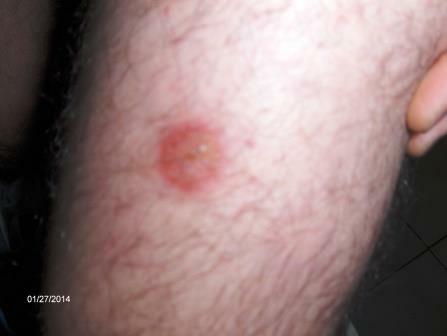 Patient responded to the medicine and all the lesions were healed in 6 days. This entry was posted in Emergencies, Emergency Care, Family Health Care, Medical Needs, Patient Stories, Routine Medical Services, Urgent Care and tagged antibiotic, blisters on the abdomen, culture, itching, lesions, MRSA, Red Blisters-Pimples-Sores-Urgent Care Medical Center Orlando, scales of honey color, sores, sores of the abdomen. Bookmark the permalink.